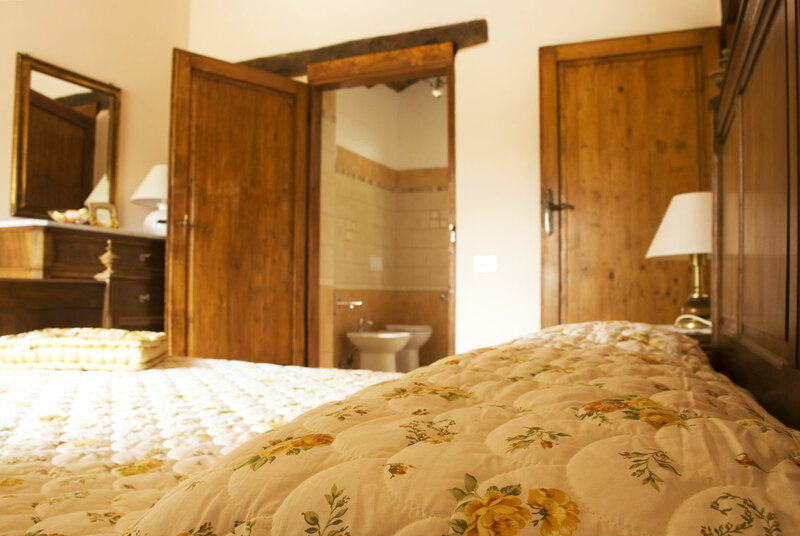 The space is composed by a double-bed room and a room with two beds. They are connected to each other and they share a big bathroom with a window. 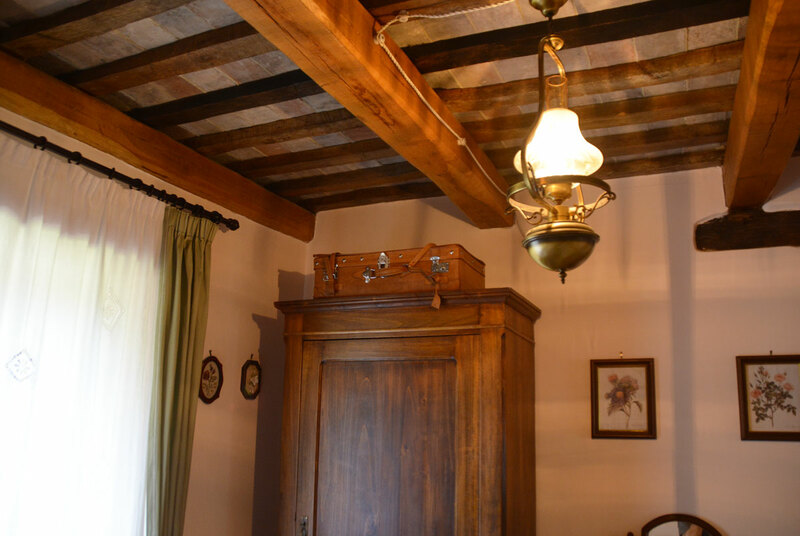 In the double bed-room you can find a big French fine carving bed, old bedside tables and a chest of drawers. 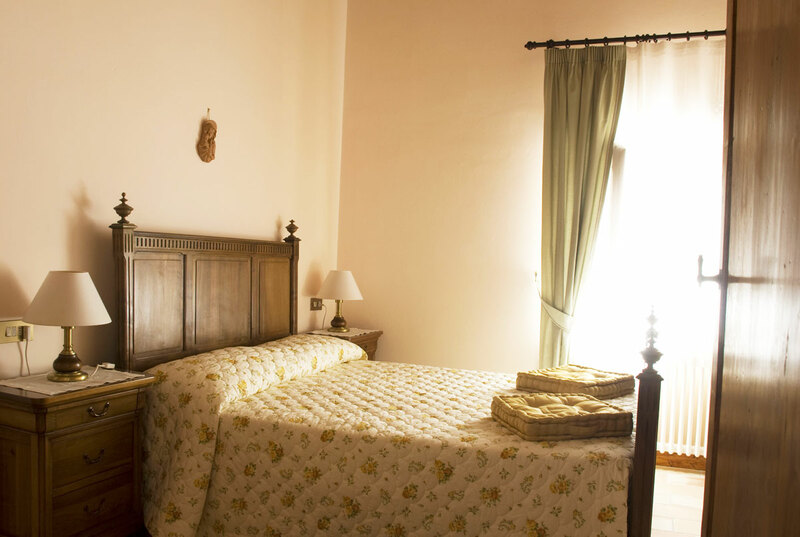 The lamps are in Provençal style and the curtains are hand-embroidered. In the other room you can find two single old walnut beds. These rooms are thought for families even with little children. 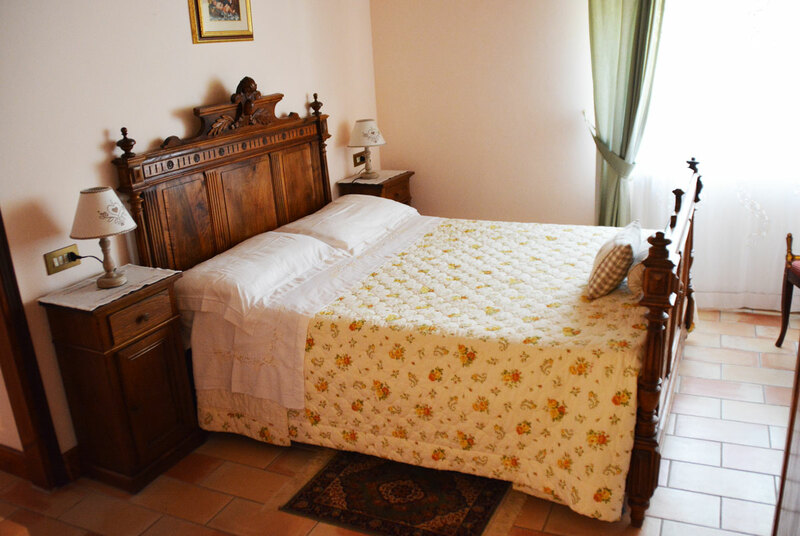 The towels and the bed linen, finely embroidered, are provided by the owner.